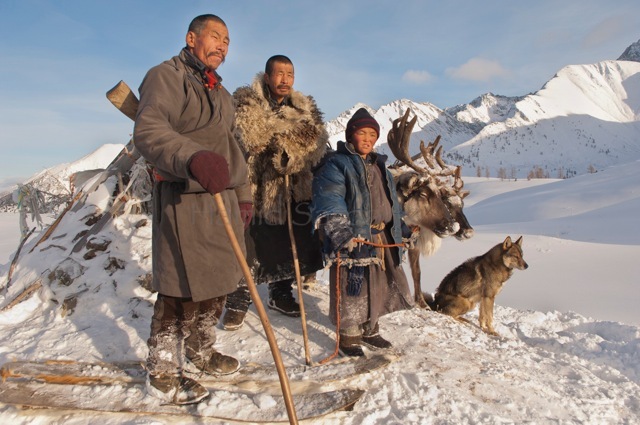 THERE AREN’T MANY “LOST” tribes any more — the realities of the modern world means that most formerly nomadic people have settled down into cities, and that virtually everyone, for good or for bad, has been brought into the global fold. 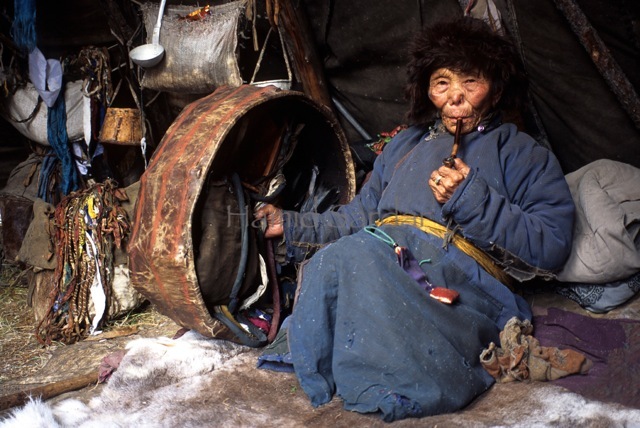 The Dukha tribe is one of the rare exceptions. 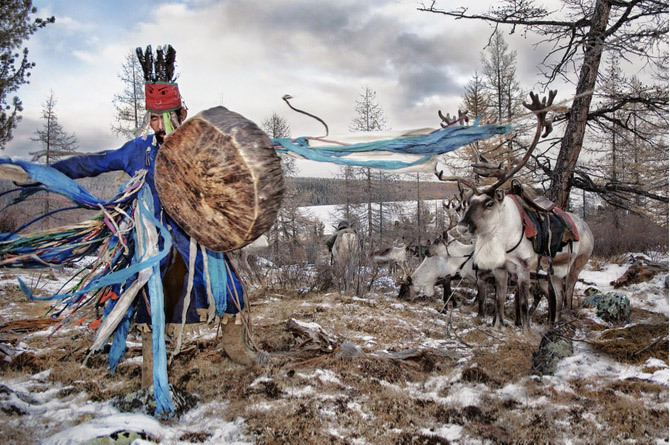 The Dukha are a Tuvan-Turkic tribe that lives on the border of Mongolia and Russia, and they are best known as reindeer herders. 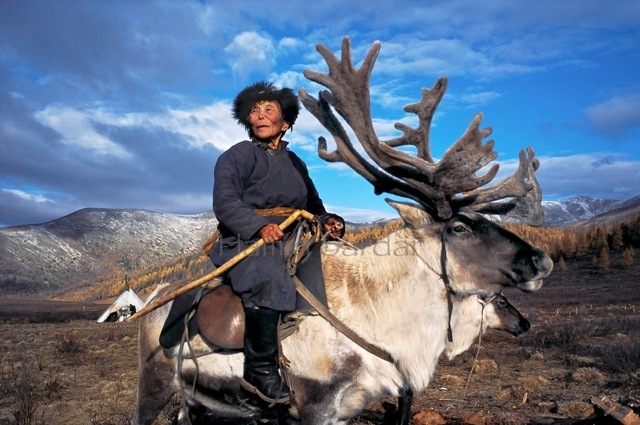 But their connection with animals extends far beyond reindeer. 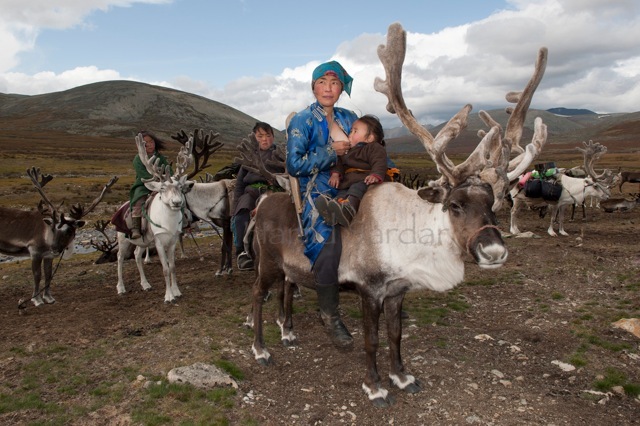 Photographer Hamid Sardar Afkhami traveled to the Khovsgol province of Mongolia to take pictures of the few Dukha families that remain: there are only a few hundred people within 44 families left. 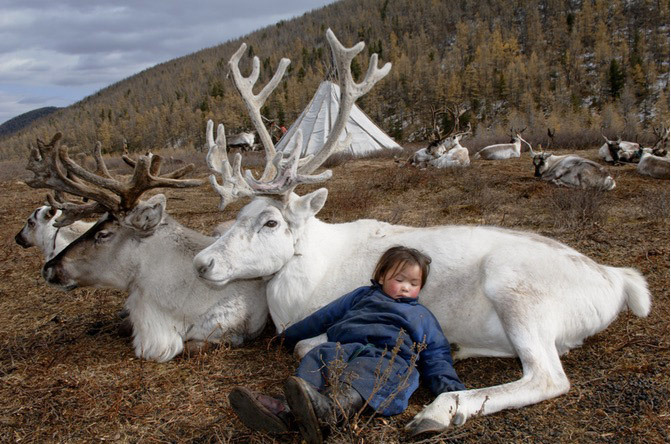 The children of the tribe are raised surrounded by reindeer, and they build a close connection. 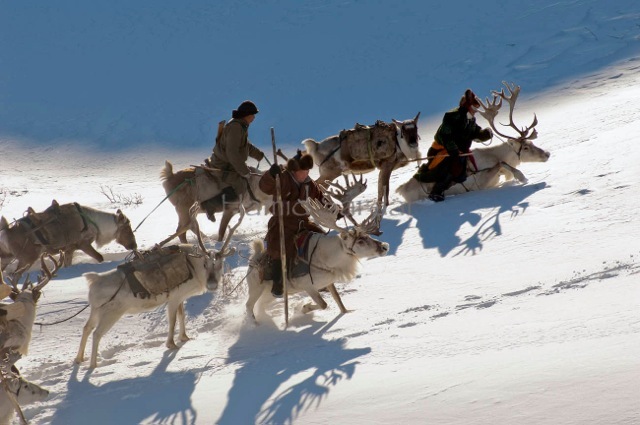 The Dukha do not typically eat the reindeer unless the animals are no longer capable of helping them hunt or travel. 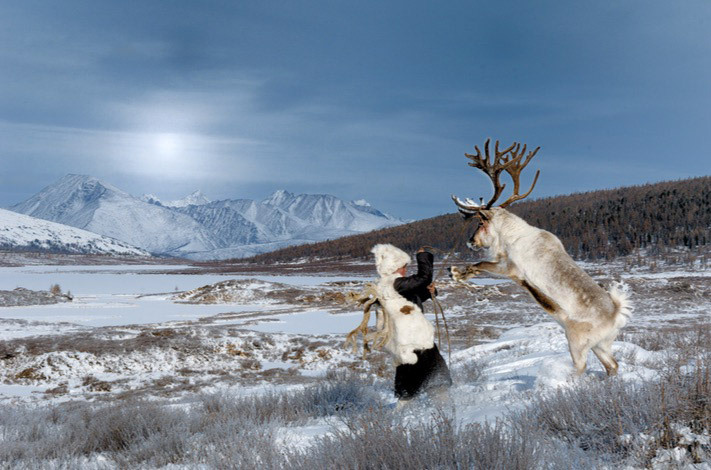 Unfortunately, the number of reindeer is dwindling, and there is no program to help replenish the reindeer from nearby Siberia. 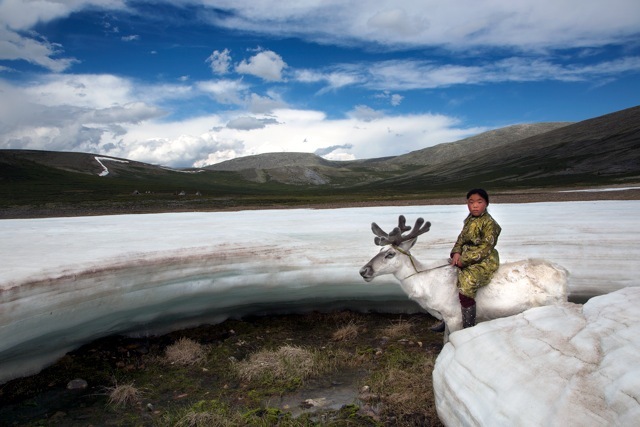 Many of the Dukha make their living off of tourists who either want to ride domesticated reindeer or buy their crafts. 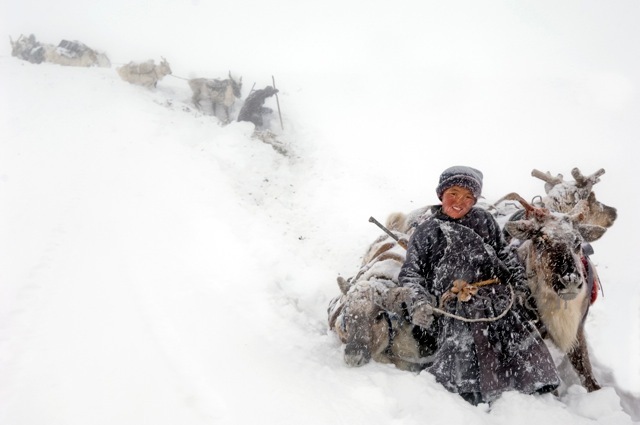 Otherwise, the Dukha hunt for their income or sustenance. 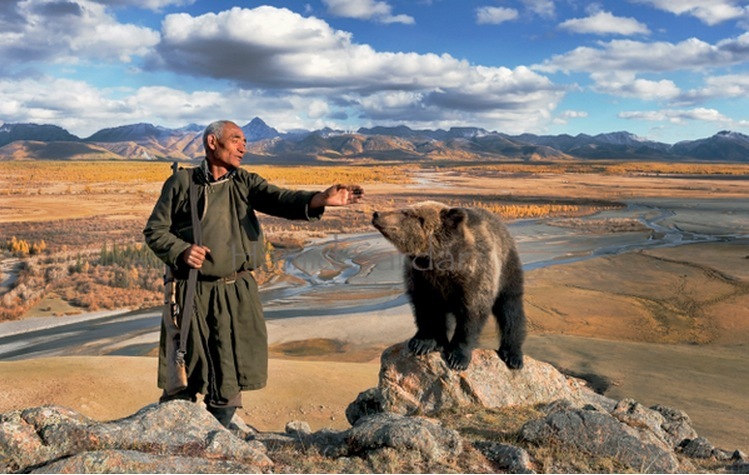 The Mongolia Taiga is a particularly challenging land — it is difficult to navigate and endures harsh winters. 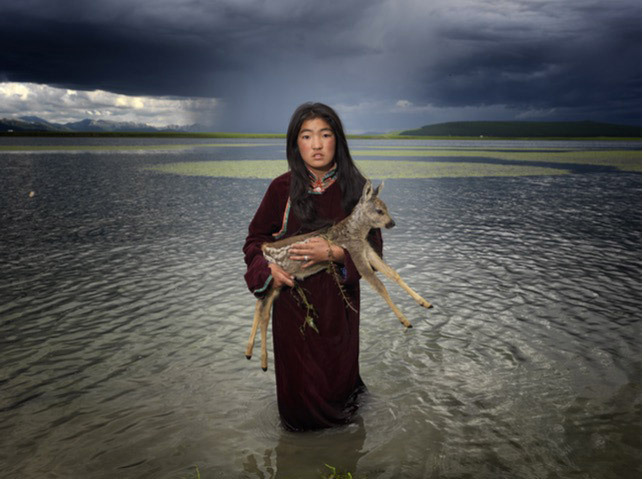 The Dukha, though, have been doing what they are doing for hundreds of years under the Chinese, Russian, and Mongolian states. 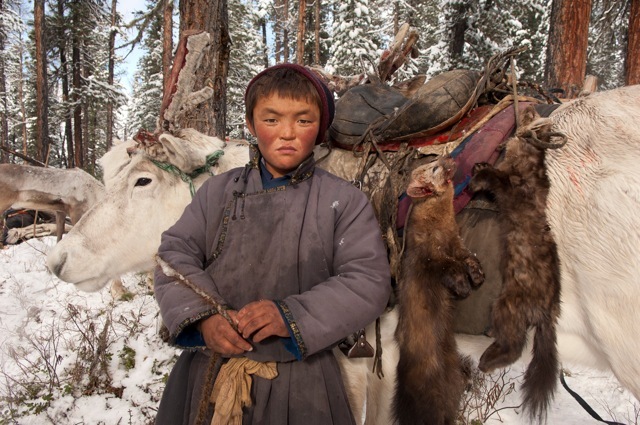 The Dukha have a strong connection to their animals, and they believe the connection is spiritual. The Dukha think of themselves as “sharing” the landscape rather than owning it. It is perhaps for this reason their connection with the animals are so strong. 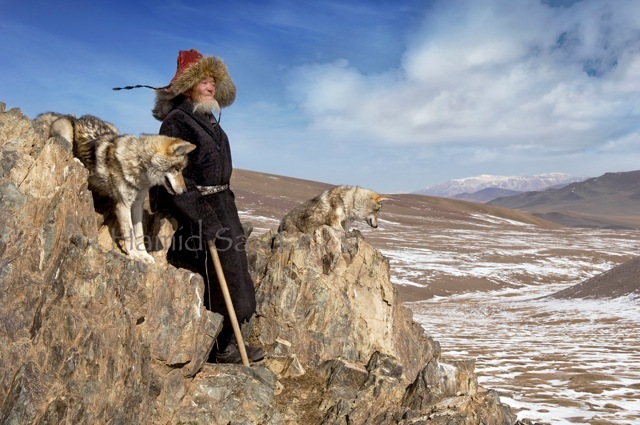 The Dukha also train wolves. Another major element of live is hunting with Eagles. 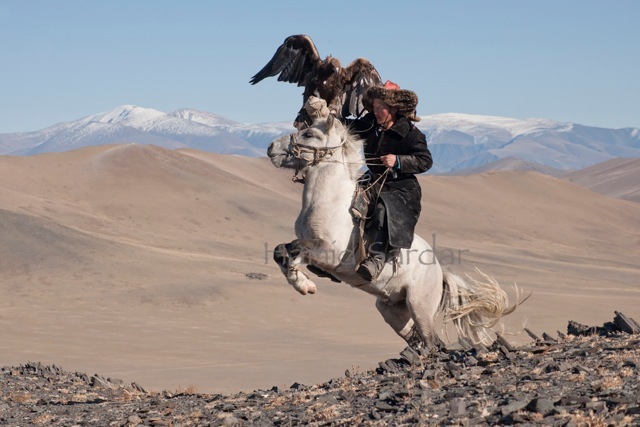 Eagle hunting is an ages-old tradition, and is considered to be a particular honor. 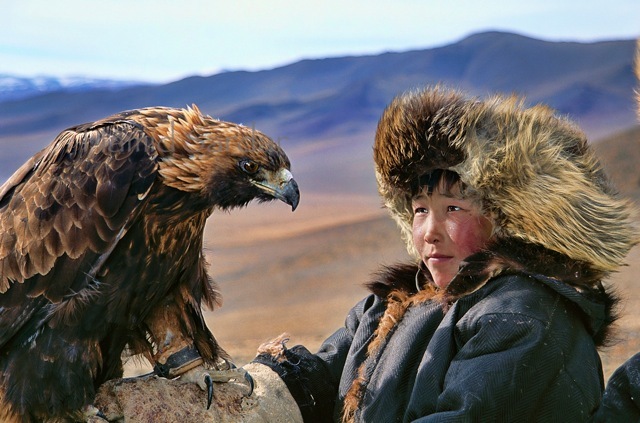 Eagle hunters are well-respected within their tribe. The Dukha have surprisingly been able to resist much of the influence from the outside world even into the 21st century. It is perhaps because of their connection to nature and to the animals around them. 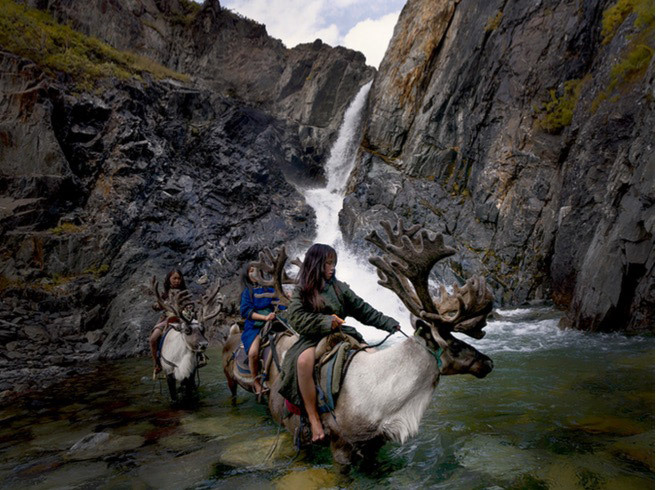 You can do more to help these indigenous communities survive here.